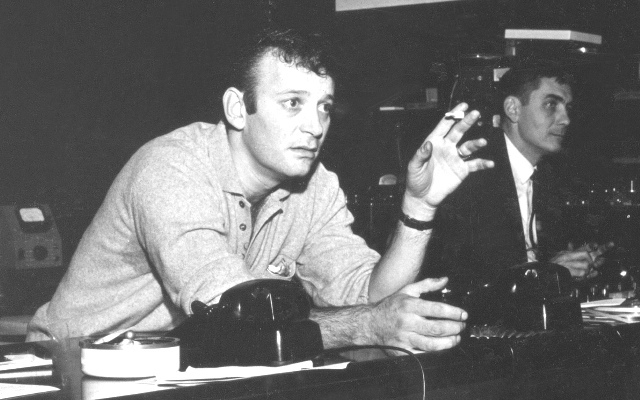 The new musical, “Piece of My Heart”, is based on the life and songs of legendary songwriter Bert Berns. He made fifty-one pop chart singles in seven years and became one of the most successful songwriters of the 1960s. Bert Berns was one of the great originals of the golden age of rhythm and blues. He first flourished as a staff producer at Atlantic Records, but Berns quickly developed into one of the leading record men of his day. He produced historic rhythm and blues records such as “Cry To Me” for Solomon Burke, “Under the Boardwalk” for The Drifters and “Twist and Shout” for the Isley Brothers. Berns’ original compositions, songs such as “Twist and Shout,” “Cry Baby,” “Hang On Sloopy” and “Piece of My Heart” have become bedrock of modern music, recorded by The Beatles, The Rolling Stones, Led Zeppelin, David Bowie, Otis Redding, among many others. As head of his own record label, Bang Records, he signed and supervised the first solo records by Neil Diamond and Van Morrison. Born and raised in the Bronx, Berns suffered rheumatic fever as a teenager, an early death sentence in those pre-open-heart surgery days. He died at age 38 on December 30, 1967, at the height of his career. But the music of Bert Berns never died. His songs have been consistently covered by the biggest names in the music business, featured in movie soundtracks, and have inspired many imitations and tributes. Bern’s amazing life story is the subject of the recently published biography “Here Comes the Night: The Dark Soul of Bert Berns and the Dirty Business of Rhythm and Blues” by award-winning journalist and best-selling author Joel Selvin. A documentary film about Berns’ life and music featuring Paul McCartney, Solomon Burke, Cissy Houston, and Ben E. King is also in the works. The musica l “Piece of My Heart” begins previews at The Irene Diamond Stage at The Pershing Square Signature Center on June 25, 2014. Tickets are on sale beginning today via TicketCentral.com. 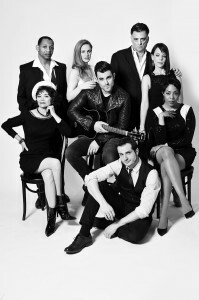 The cast of “Piece of My Heart” includes Zak Resnick as Bert Berns, Drama Desk Award nominee Leslie Kritzer as Jessie, Theatre World Award-winner Linda Hart as Mom, Joseph Siravo as Wazzel, Tony Award nominee de’Adre Aziza as Candace, Derrick Baskin as Hoagy, and Teal Wicks as Ilene, with an ensemble that includes Carleigh Bettiol, Teresa Gattison, Shonica Gooden, Sydney James Harcourt, Harris Milgrim, Michael Millan, Gabrielle Ruiz, Amos Wolff, and Mark Zeisler. Featuring a performing cast of sixteen and a band of eight, “Piece of My Heart” has a book by Daniel Goldfarb, with direction and choreography by Denis Jones. The musical’s creative team also includes Alexander Dodge (Scenic Design), David C. Woolard (Costume Design), Ben Stanton (Lighting Design), Carl Casella (Sound Design), Garry Sherman (Music Supervision, Orchestrations & Arrangements) and Lon Hoyt (Music Direction). Piece of My Heart tells his remarkable story, once dubbed by Rolling Stone “one of the great untold stories of rock and roll,” through his hit songs, which include “Twist and Shout,” “Tell Him,” “I Want Candy,” “Hang On Sloopy,” “Cry Baby,” “Piece of My Heart,” and many more. The performance schedule for “Piece of My Heart” is as follows: Tuesday – Friday at 7:30 PM, Wednesday at 2:00 PM, Saturday at 2:00 PM and 8:00 PM, and Sunday at 2:00 PM. Tickets range from $31.50 – $99.50, and are available online at www.ticketcentral.com, by phone at (212) 279-4200, or in person at the Ticket Central Box Office (416 West 42nd Street; Monday through Sunday, 12 PM to 8 PM). Student tickets priced at $26.50 are available for advance purchase at the box office.